Our water company referred us to LifeSource because we wanted softer water. Before having my system I would wash my hair and a lot of trouble getting a comb through it, it's 100% better now. My wife and I are enjoying our LifeSource Water System installed 3 weeks ago. My wife told me she no longer felt itchy after taking a shower and that made me a happy man! I was impressed that there was no evidence of calcium buildup in my sink. I previously removed it to see if the calcium would come back after the LifeSource unit was installed. I have to say that the technician did such a professional job installing the unit, took his time and made sure he had my approval before finishing. Overall I am pleased with Curtis Hill's sales presentation and that is why I am the proud owner of the LifeSource Water System. We a LifeSource system in our home and one in our condo. I think the lifesource system is great, we love it. I tell my friends about lifesource when they ask what we have for a water filter. Love it! I absolutely love my system! I wouldn't be living in Arizona without this system. We love not having to filter drinking water and cooking water with a Britta filter any longer. We love the fact that we have good water pressure in the showers as we were able to remove the chlorine filters we had installed on them. We enjoy drinking clean non-salty water with all the beneficial minerals still in tact. It is so great not having to haul bags of salt every month. The thought that we have done the best we can to provide us with clean safe water is such a relief and knowing the system will last a long time is reassuring as well. What is left to say...outstanding sales and servicemen as recommended to neighbors of your product and services!!! Thanks for all your help – this installation today went great, and the installer did a superb job. I was worried about how it would go, and his professionalism and great looking job reinforced the promises you made at the time of sale. THANK YOU! We've just moved to Boise, ID and had a Lifesource water system in our house in Arizona. We loved it and enjoyed drinking clear and clean water from every house faucet. We just had to get a system installed in our new house in Boise! I really love the water in my new LifeSource system. It tastes incredible and I’m drinking a lot more of it every day! Also, I notice that my hair feels much different after a shower-it’s silkier! I/we LOVE our Life Source Water because the water tastes so good and pure. There is no chlorine or other contaminant taste. Just pure good tasting water. We are so spoiled that when we go out to restaurants, we are very choosy about the water we are served. One place we go, we love the food, but the water is so bad, we ask them to please not bring us any water! We also love the fact that we don't have to struggle with those 40 lb. bags of salt every month like we did with our other whole house water purifier. Not only were we able to get rid of replacing expensive filters for our RO system every year, but we were able to get rid it as well! There is virtually no maintenance with our Life Source system. It is not hard on our pipes or shower tiles. There is no unsightly water spots the clear shower doors either. When we shower, our skin feels so soft and smooth never slick. Thank you Life Source!!! My wife Virginia and myself just love our newly installed LifeSource water system. When we moved into our home in early August, the only water we could drink was from our GE refrigerator which had a water filter. But the water still didn't taste right, but was better than water that came out of our taps. I noticed water stains on our toilet bowl which also was a good indication that our water wasn't right. The previous homeowner had to use bottled water as our water tasted just terrible and we didn't want a system than required us to buy salt and have reverse osmosis filters changed all of the time. 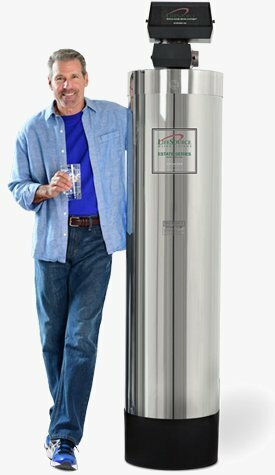 I looked up water systems on the internet and I was convinced that lifesource was the best and it certainly was. I filled out an on-line form and Mr. Rob Tucker called me within just a few minutes and I was greatly impressed. Thanks for having a great staff and selling us a superb system. Wow what a difference in our water! We are very happy with our new water system. We like the pure feeling of the system, no more slippery slimy feeling! We also like the fact that we’re not using salt anymore, or taking time for maintenance. 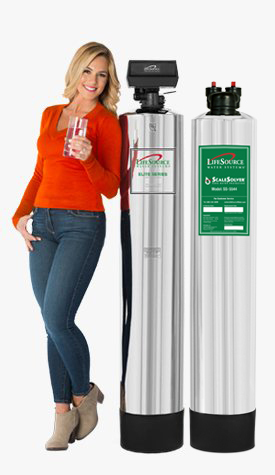 We have been enjoying our new lifesource water system immensely. this was a bucket list thing for me. we have been in our home three years and couldn't believe how hard the water here was. we were buying and lugging in massive amounts of water as we just couldn't bring ourselves to cook or drink it. the spotting in the home was horrible and not the way i like to take care of things. heard about your system through friends and here we are. newbies :) can't tell you how wonderful it is to enjoy clear, fresh water. i know too that our home breathes a sigh of relief as the system does it's magic within the walls. wonderful. hope others find this helpful. We are really enjoying our new water filtration system, including our dog and cats :). It's been almost two weeks now and I can feel a significant difference on how soft my skin and hair feel. Not to mention it tastes much better and it is sooo convenient to not have to use a Brita. My clothes also smells cleaner. So far, my experience with Lifesource has been positive. Erik, our sales rep. provided great customer service by returning phone calls and emails promptly. The plumber that installed our unit was very friendly and did a great job. He offered some helpful suggestions on how we can reuse the back flush water so that it doesn't go to waste. Your installer is amazing....he uninstalled the Temecula unit and installed it along with the extra hot water unit here in Fallbrook. Arrived in Temecula at 12 and just left here at 3! That guy is lightning fast and very efficient and does an amazing job...cleans up after himself and is no nonsense and is the fastest moving contractor I have ever witnessed...the guy literally jogs between his truck and what he is working on...Hang on to that guy...he would be hard to replace! It has been a little over a month now that we've enjoyed having our whole house system from Life Source. We love being able to drink from any faucet and we feel so much cleaner coming out of the bath or shower. And I can get rid of my every-six-months reminder on my task list for replacing the under-sink filter. We love our new Life Source system. Had system for 18 Years! I have had a life source water system for 18 years. I recently had my system updated to the newer and much improved system. I really like the taste of the water and the way it doesn't leave the mineral deposits on the faucets and sinks. I use less detergent when doing laundry. It's a win-win situation. Thank you. For the first time in a very long time I feel clean bathing in our house water. I don't feel the slime of trying to make your skin feel like you can't get the soap off and enjoy having to wash your hair only once to get it clean. I think in the long run it save money and water. I love my Life Source water system. The installation went smoothly and the taste of the water is great. So far so good. I had a shower this morning and it felt really good. I haven't noticed much else in terms of change. I suppose no news is good news! -- Just showered in the filtered water and it felt great! Otherwise not much has changed with our water since installation that I've noticed. Got to give the system time I understand. I suppose no news is good news when it comes to water! We have had our system installed for almost a month and just LOVE it. It is so nice to be able to get drinking water out of any of the faucets in the house - not just at the kitchen sink or fridge. Also, we have very hard water and prior to the system, there were water spots everywhere - on the fixtures, sinks, shower. Now, the spots are minimal and cleaning is much easier. Lastly, we feel good bathing our baby in clean, filtered water - it is such a wonderful feeling! Healthy For Family, Friends and Pets! 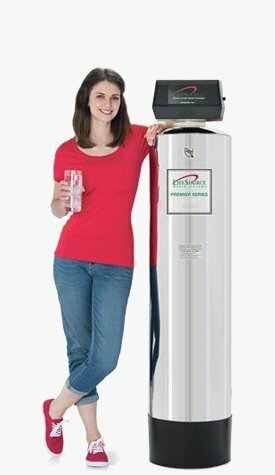 When I shop at Costco, there is a display and a representative to solicit the EcoWater System; I finally scheduled an appointment for an interview. I mentioned this to my dear friends, Sheri and John Harris: they referred me to LifeSource. I kept the appointment with the EcoWater System and then scheduled an appointment with LifeSource. 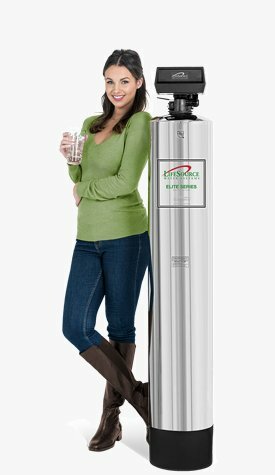 I am one-hundred percent satisfied to select LifeSource as my water intake, because no physical labor is required on my part (no filters need to be changed, no maintenance necessary), and no additional fees are expected; when the tank discharges into the yard, it will not hurt plants; clean water is available at every tap in my home. Above all: the water is healthy, not only for me but for my family, friends, the yard and plants, and my pet cat (Gizmo). She would not drink much water; I had to put bottled-water (a little at a time) in her food. Now, I can hardly keep up with her water bowl full! My heart is over-joyed accompanied by the abundance of clean, fresh, and pure water provided by LifeSource. Sincerely, thank you for allowing me to share my thoughts and for you taking the time to read them. I never had a problem with the taste of our water but my wife would drink only bottled water. After getting the lifesoursesystem I found out how wrong I was. The water tastes great and it helps dry skin. Hi! My system was only installed a week ago, I have seen an improvement of the quality of the water already!